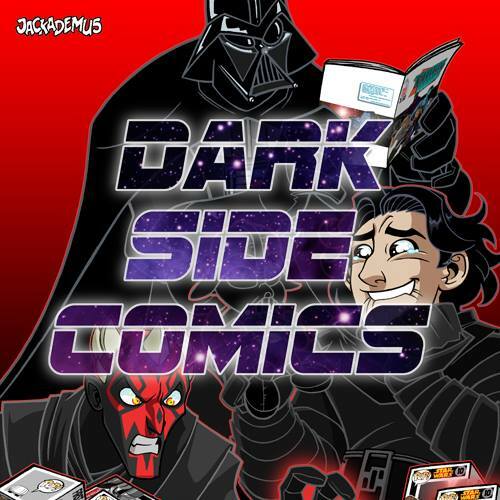 Happy Magic Monday readers and welcome to my first Blast from the past Review! 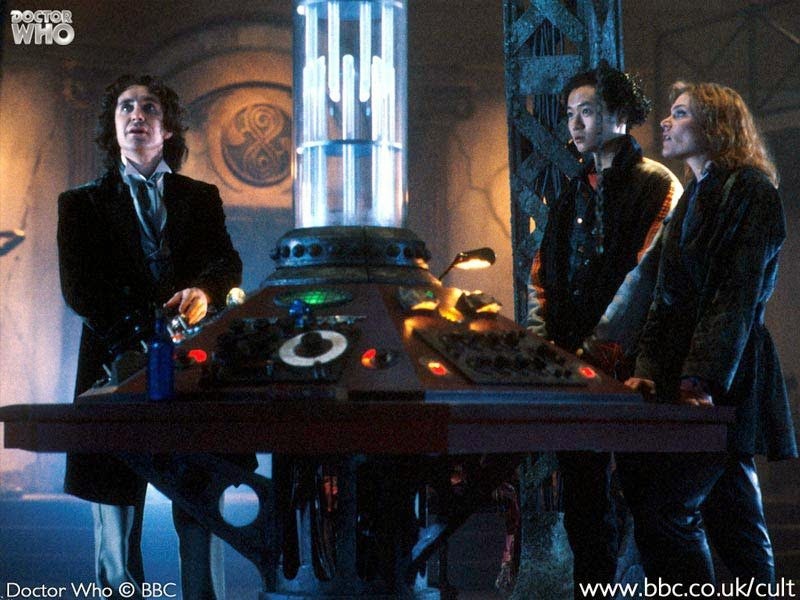 Starting with an old favorite of mine, the 1996 Doctor Who (TV) Movie! This British/American/Canadian produced TV Movie was released in 1996, first airing on CITV in Canada, followed by BBC One in the UK and the Fox Network in the US. It was created as a test pilot of sorts to revive the Doctor Who TV show that had become dormant in 1989, with this potential new version being catered to an American audience. 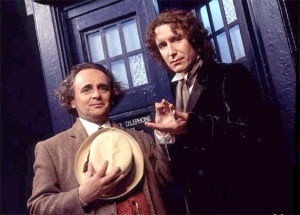 Although it did fairly well in the UK it sadly flopped in the US and was never picked up to continue, Paul McGann's doctor however continued to feature in numerous Doctor Who audio dramas by Big Finish and for many helped bridge the gap until the relaunching of the series by the BBC in 2005. 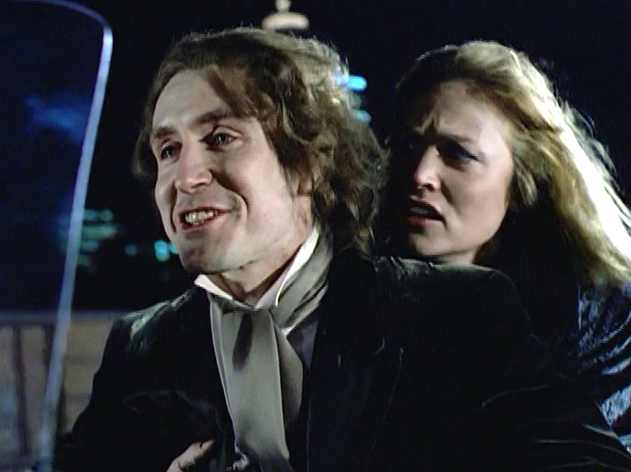 Although these audio dramas weren't at first thought to be canon many McGann fans were overjoyed when the short "Night of the Doctor" was aired as a minisode leading up to the the 50th anniversary special marking the second televised appearance of McGann as the eighth Doctor and with the uttering of a few names, (specifically the names of many of his previous companions featured in said audio dramas) before regenerating, they are now believed to be officially part of the Doctors timeline. This film was my first proper glimpse into the world of Doctor Who, I'd seen an episode here and there (mainly Pertwee and Davidson thanks to re-runs on "Gold") but I found a copy of the television movie on video at a boot sale for 50p, I was about 12/13 at the time and thought, "why not!" I absolutely fell in love and was so sad when I realised there was no more of this Doctor I'd grown to love. The film is set a few years after release on the eve of New Years Eve, the Doctor is escorting the masters remains from Skaro when, the Master (in ooze form...ahh gotta love the 90's?) manages to escape from his containment and causes the Tardis to malfunction and thus making an emergency landing on Earth. Exiting the Tardis, the Doctor (still played by the 7th regeneration, Sylvester McCoy) is caught in a gang fight and shot. A young boy that survives escorts him in an ambulance to the hospital where the Doctors write off the x-rays of his two hearts as a double exposure and accidentally kill him while using a probe to try and find out why his heartbeat is so erratic. 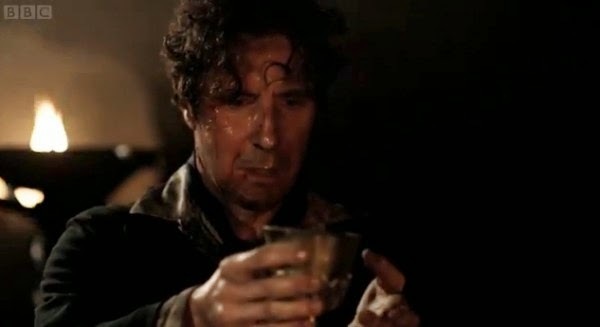 The Doctor regenerates (for the 8th time) into Paul McGann but unfortunately due to the anesthetic in his system when he died keeping him dead for too long, he has no clue who he is or where he's from. While this is happening the Master (is ooze form) manages to find a host in the unwitting ambulance driver Bruce, takes over his body and begins to plan how he will take the Doctors remaining regenerations from so that he may live. As usual the Master's plan also involves destroying the world so the Doctor, with the help of Grace (the doctor who unwittingly caused his death) set about to stop him. It's a charming little film, although not a Hollywood blockbuster by any standards it's a nice easy film to watch and enjoy. Eric Roberts as Bruce/The Master is absolutely fantastic, he's cold, calculating and brilliant while managing to actually be quite funny at the same time. 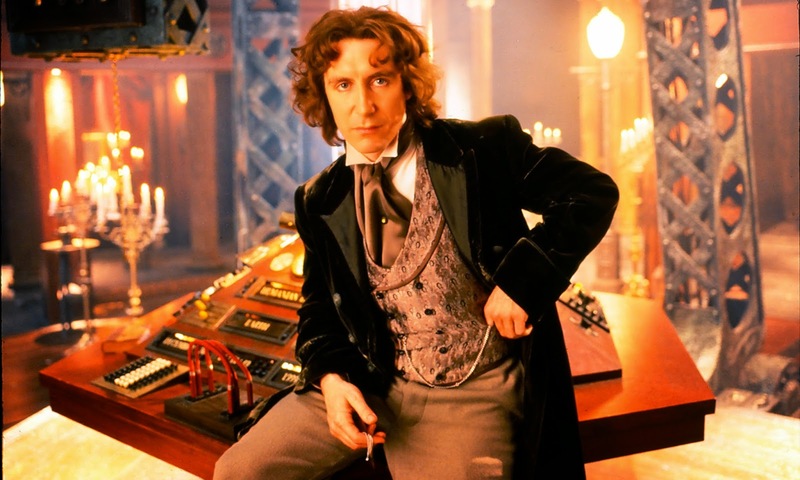 Paul McGann is really my first Doctor and I love what he brings to the character, his Doctor is supposedly half human (on his mothers side) and it really shows in the way he plays him, although he's of course very clever as the Doctor is, he tends to have a more human quality that a few of the other regenerations lack. 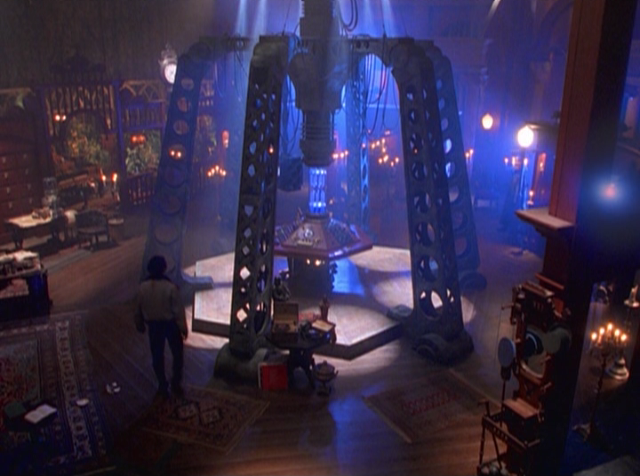 The Tardis itself also got a makeover, changing from the sterile white walls and console to the steam punk meets time lord and mahogany look in the picture above, for me this helped a great deal in showing the scope of inside the Tardis and fit very well. Although the change isn't explained in the film, attempts have been made to do so via the audio adventures.